Located in Chicago and Milwaukee with six locations, East Bank Storage provides personal storage and wine storage. We updated our previous design for EBS which was done in 2006 and converted it to WordPress. It includes a new responsive website, online reservations and a storage tool. 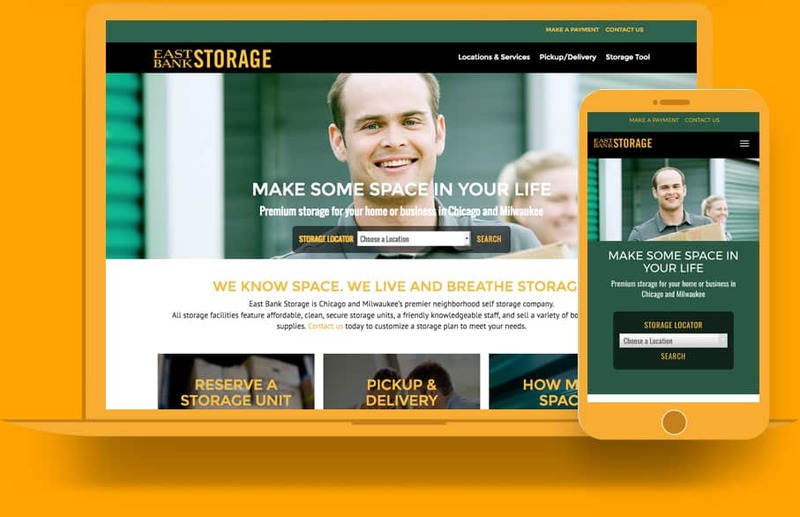 The new web site allows users to see the inventory of storage units available, pay their invoices online, schedule delivery and pickup and reserve units online. We have also designed several print projects for East Bank Storage as well as numerous building signage projects.